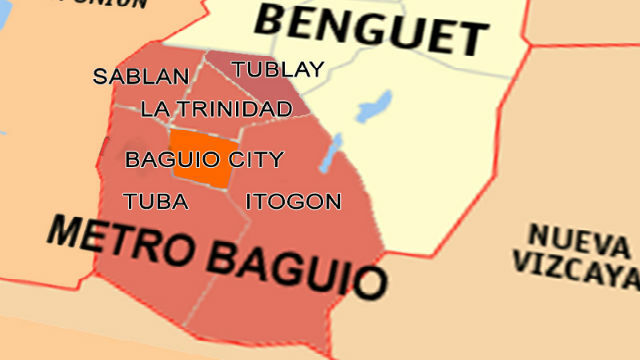 LA TRINIDAD, Benguet – Local officials of municipalities that have been included as members of the Baguio-La Trinidad-Itogon-Sablan-Tuba-Tublay Development Authority (BLISTTDA) are likely to withdraw their support to the passage of the legislative measure once proponents will not be open to the conduct of transparent consultations with the affected indigenous peoples and other sectors thereby ramming the proposal on their throats. Former Mayor Edna C. Tabanda underscored there is nothing wrong with embracing change and development but Benguet towns should not be used by BLISTTDA proponents to rid Baguio City of its current problems on various aspects, especially issues concerning the preservation and protection of the environment. “We should read between the lines. Local governments have their own autonomy which should not be trampled upon by the proposed superbody which will have a blanket authority to interfere in the affairs of the concerned local governments. The interests of the independent local governments should still prevail over the proposed superbody,” Tabanda stressed. The former local chief executive argued that what the municipal governments of La Trinidad, Itogon, Sablan, Tuba and Tublay need is the comprehensive master development plan of the BLISTT which was prepared through the conduct of transparent and sincere consultations with the concerned local officials and various sectors and not table plans which was a product of the consolidation of the development plans of the involved municipalities. Tabanda asserted that it is easy to identify Tuba or Sablan as an educational center but there are other underlying factors that must be taken into consideration such as the fact that the said towns are declared ancestral domains of IPs, thus, any development activity that should be done must pass through the required free and prior informed consent (FPIC) pursuant to the provisions of Republic Act (RA) 8371 or the Indigenous Peoples Rights Act (IPRA). She admitted having personally called up Rep. Ronald M. Cosalan, one of the principal authors of the creation of the BLISTTDA, to inquire on why he signed the bill but she was informed that the lawmaker agreed to be one of the authors with the premise that there should be consultations with the concerned local governments, the IPs and other related sectors to gather possible inputs that will help in strengthening the provisions of the proposed law. According to her, there are a number of provisions in the BLISTTDA bill that are still unclear which must be expounded during the proposed consultations so that the involved local officials will be able to understand its contents so that they will not be blamed for whatever negative implications that will be encountered by the local governments once the law will be effective. Tabanda doubted the attempts of the proponents to seemingly rush the passage of the proposed BLISTTDA measure, saying that local officials in the municipalities were obviously misinformed in earlier endorsing the same amidst the serious implications of some provisions of the proposed law to the local autonomy of local governments which should be far superior over the planned superbody. Local executives of the Benguet towns expressed support to the concern of the former town official and agreed to her proposal for the temporary withdrawal of their support to the BLISTTDA so that the proponents will be constrained to go down to the grassroots level and consult the people about its contents instead of relying on high level talks that do not actually reflect what the people want and how to go about dealing with the problems that will be created by the added layer of bureaucracy. Tuba Mayor Ignacio Rivera and Mayor Romeo Salda claimed that it is unfair for the proponents to bind the involved local governments into being part of a superbody that will intrude into their local autonomy which will be detrimental to the implementation of their existing development plans and other related regulations that have been crafted by the different local legislative bodies for the benefit of their constituents. Originally, the BLISTT concept started way back in 1995 when European Union (EU) urban planners conducted a study and recommended for the establishment of a Metro Baguio that will ensure the spread of development in Baguio City to its neighboring towns. However, local officials of La Trinidad, Itogon, Sablan and Tuba were adamant in the implementation of the concept because it is simply geared towards addressing the problems of Baguio City which is similar to the contents of the pending BLISTTDA bills in Congress. Tabanda asserted that she will make the necessary representations with the Senate that the pending BLISTTDA bills should first be subjected to transparent and sincere consultations with the ancestral domain holders because there will be more problems that will be created once the law will be approved and be rammed on the throats of the concerned local governments.